Random person: What kind of car is that? 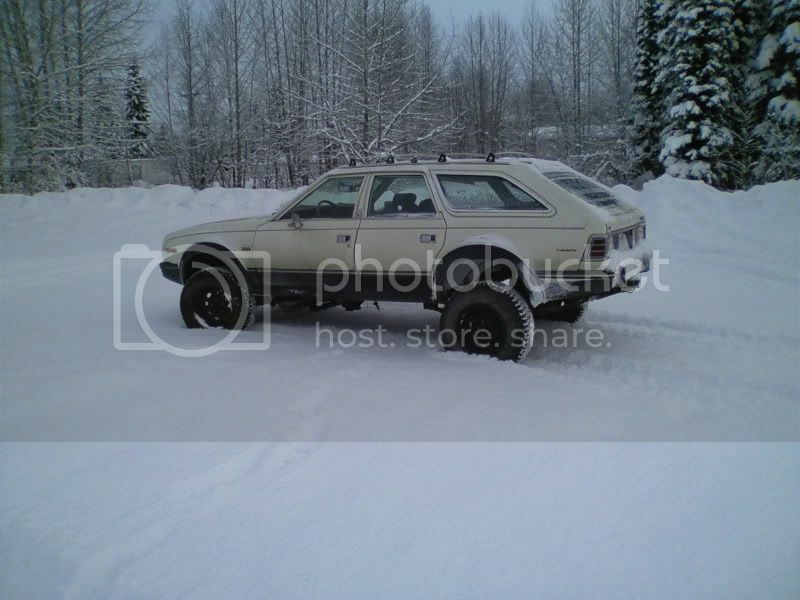 Me: It is an AMC Eagle. The first American SUV. Random person: No, that's not it. Really, what is it? Re: What kind of car? Have to love it when people (strangers) ask you a question, and then disqualify your answer. It would be easier for everyone if they would just tell you the answer they want up front. A Delorean, that's an awesome answer...were they satisfied with it? Didn't stick around to see. I got in my Delorean and left! More than once, I have seen Deloreans that are for sale advertised as AMC instead of DMC. Yes. I had to get back to 2035. I had a conversation with a guy that was sure when I said AMC Eagle I meant Eagle Talon. Then he described how they evolved to the turbo charged version in the 90's... obviously very confused. Doc says hello to everyone and tells me he has put a flux capacitor on his Eagle. He says it is more roomy than the Delorean and 4wd to boot. Easier to get out of even with the extra set of knees he now has. Watched two guys arguing about what my car is outside the coffee shop I was in this morning. Always lots of fun. Well pulled into a Gomart to get gas an the guy in early 20's wanted to know what kind of car that was it looked cool. Told him it was a AMC Eagle 4wd station wagon clueless he asked what is AMC told him American Motors Corporation was a small American car company that took on Detroit an was bought out by Chrysler in 87 so they could have Jeep. That it was what became the Eagle brand of the 90's as Eagle Talon etc.. He thought it was a cool car an wierd that it was a 4wd car told him that was what Subaru copied in the 80's to get were they are today that the Eagle 4wd would out do a Subaru 4wd back then an still keep pace with them 30 years later an then me filling it up from the rear got a few looks to. Yellow was the lest used color for the Pacer AMX. That is a true collectors item as so few were produced. today at the gas station a young guy in his mid twenties asked "what kind of car is that? is it a Gremlin?) i told him "no it's an Eagle but at least you got the right company." i proceded to tell him about the Eagles and after i finished he goes "wow that's cool." that made my day.